Moscow has been at the heart of Russian history for many years, and walking through the streets can feel like taking a step back in time. 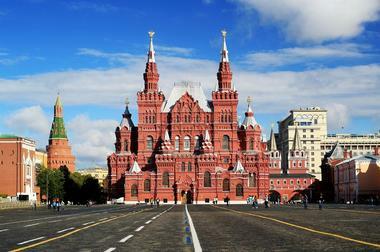 A trip to the city wouldn't be complete without stopping by the Kremlin and Red Square, but curious visitors will also be rewarded with hidden treasures like a museum of Soviet arcade games and the mysterious Golosov Ravine. Situated on the grounds of the 14th-century Andronikov Monastery, the Andrei Rublev Museum of Ancient Russian Art is home to some of the country's best and most important pieces of Russian Orthodox artwork. More than 5,000 pieces of art are displayed in the museum, including the famous Our Savior of Gavshinka, a Yaroslavl icon whose exact age is still not known. The museum is open from 11:00am until 6:00pm every day of the week except for Wednesdays and the last Friday of each month, and guided tours in either English or Russian can be arranged for a fee. Also known by the acronym VDNKh, the Exhibition of Achievements of The National Economy was inspired by the World Expos held in London, Paris, and Chicago during the 19th century. The outdoor exhibition center is larger in size than the city-state of Monaco, and it features a number of different exhibits on science and technology. 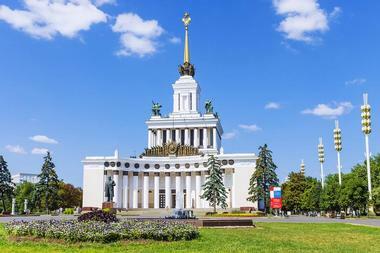 The exposition was first opened in 1939 but carefully restored in 2014, and highlights include a giant statue of Lenin, intricate replicas of the Vostok rocket, and a breathtaking golden fountain. 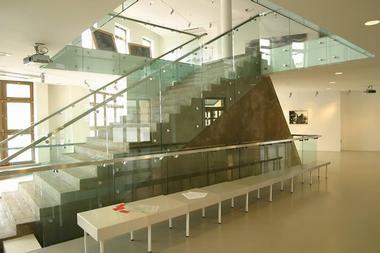 Entry to the exhibition is free, but some exhibits require the purchase of an admission ticket. Sitting in front of the Krymsky Val building, the Fallen Monument Park is the largest open-air sculpture museum in Russia. 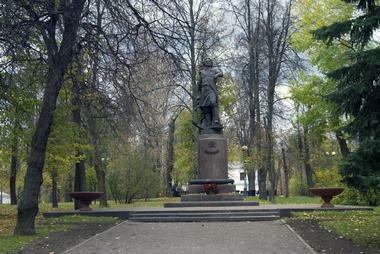 Thousands of Soviet sculptures were destroyed shortly after the fall of the USSR, and more than 700 of these fallen statues are now on display in this park. 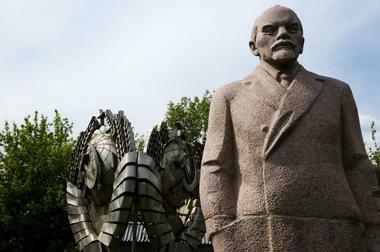 Visitors will find dilapidated sculptures of Stalin, Lenin, and Soviet emblems, but there is also a collection of newer pieces of artwork that provide a striking contrast. Other features of the space include an open-air cinema and a splash park, and all visitors have to pay a small entrance fee. 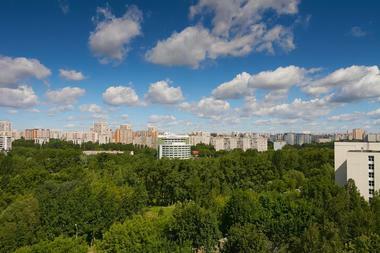 Running right through the heart of beautiful Kolomenskoye Park, the Golosov Ravine sits between Kolomenskoye Hill and Dyakovo Hill. The ravine has been considered a place of mystery since the early 15th century; people have reported seeing hairy human-shaped creatures here, and more than one local legend tells the story of a thick mist descending on the ravine to warp time. The ravine is also home to two large sandstone rocks known as Diviy and Gus, which are believed to be an ancient Slavic shrine. 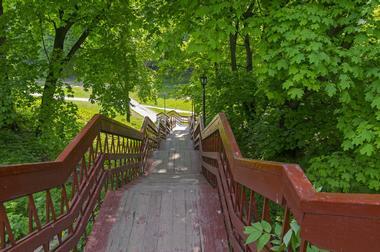 However, the ravine is also a pleasant place for a simple stroll, and it offers several good pathways. Although it's not as well known as the Kremlin in Red Square, the Izmailovo Kremlin is arguably just as beautiful. Built in 2007, the wooden structure incorporates many elements of traditional Russian architecture and was inspired in part by fairy tale depictions of Old Russia. There are plenty of things to see and do inside the complex, including Russia's tallest wooden church, a replica of Tsar Alexei Mikhailovich's summer palace, and several unique museums dedicated to topics such as the history of Russian vodka. 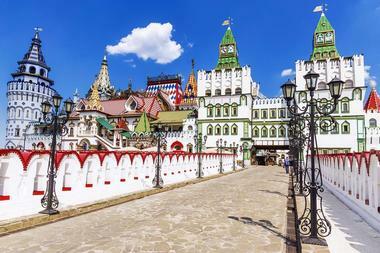 Right next door is the city's famous open-air market, which is connected to the kremlin by a wooden bridge. For hundreds of years, Izmailovsky Park has been a prime relaxation destination for the people of Moscow, and this is perhaps truer today than ever before. The park offers peaceful birch forests, plenty of walking and cycling trails, and a beautiful lake that has plenty of paddleboats for rent. 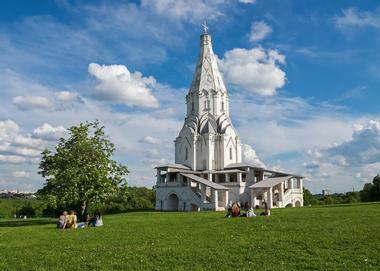 The natural beauty of the park is a good enough reason to visit, but another highlight is the Pokhorovoskiy Cathedral on Silver Island, which dates back to the 17th century. Most visitors combine a trip to the park with a stop at the nearby Izmailovo Market, which sells a variety of trinkets and souvenirs. Situated only a few kilometers away from the city center, Kolomenskoye Park is a former royal estate that overlooks the beautiful Moskva River. The estate boasts shady apple orchards and pleasant walking trails, but most visitors come to marvel at its many historic buildings, including the reconstructed palace of Tsar Alexei. The park's most impressive attraction is the Church of the Ascension of the Lord, which was constructed in the early 1500s to celebrate the birth of Ivan the Terrible. The park can be entered free of charge, but several of the attractions charge a small entrance fee. Thanks to its immense cultural and historical significance, the Kremlin is one of the most popular tourist attractions in Moscow. Construction of the 69-acre fortress began in the 12th century, and its red brick walls date back to the late 15th century. The three principal highlights inside the fortress are Cathedral Square, the Armory, and the Diamond Fund, and tickets can be purchased separately for each attraction. 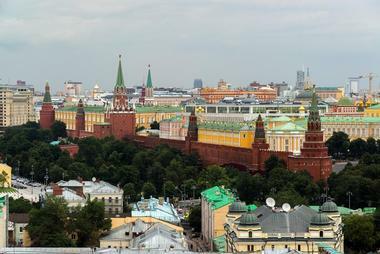 Visitors are advised to plan their trip well in advance, as the entire Kremlin is sometimes closed for official functions and some of the buildings inside are only open during limited hours. Located in Red Square, Lenin's Mausoleum is home to the preserved body of Vladimir Lenin, the leader of the Bolshevik Revolution and the founder of the Soviet Union. In his will, Lenin asked that he be laid to rest in the ground, but at the request of the Russian people, his body has been on display here since shortly after his death in 1924. There is no admission fee for the mausoleum, but the line to enter can get quite long and the guards on duty only allow small groups of people to enter for 5 minutes at a time. 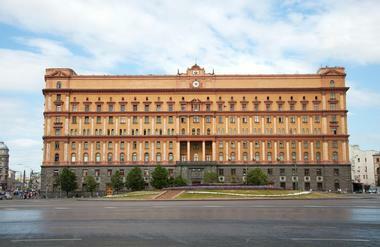 One of the most feared buildings in Russia, Lubyanka is the former headquarters of the KGB and the home of their infamous prison. The yellow neo-baroque style building was first built in 1897 as the headquarters of an insurance company, but it was appropriated for government use in 1919. Many high-profile figures were imprisoned and interrogated here, including Stalin's rival Nikolay Bukharin, and the last prisoner was released in 1962. The building now houses several government offices and a museum devoted to the KGB; the museum can only be visited by appointment, but it has an excellent collection of artifacts from the Cold War. Occupying the base of the Monument to the Conquerors of Space, the Memorial Museum of Cosmonautics is dedicated to Russia's achievements in space. The museum opened in 1981 to commemorate the 20th anniversary of Yuri Gagarin becoming the first person to orbit the earth, and it contains approximately 85,000 different artifacts from the Soviet period. Exhibits cover everything from the history of flight to space technology, but highlights include the flight control center, a display on the international space fleet, and several taxidermied space dogs. 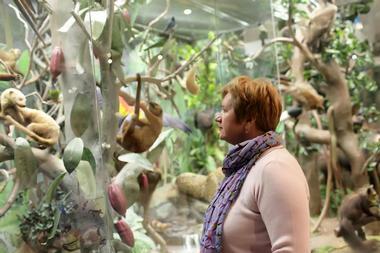 The museum is open every day except for Mondays, and guided tours can be arranged for a fee. 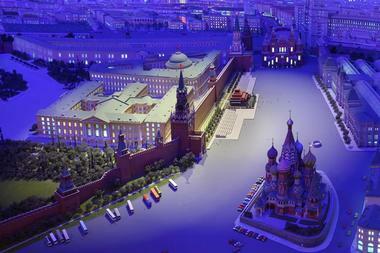 Created in 1977 to commemorate the 60th anniversary of the Bolshevik Revolution, Miniature Moscow is an elaborate replica of the Soviet capital as it was during the 1970s. It was designed by the well-known Russian diorama artist Efim Deshalyt, but it took more than 300 workers to see the project through. The incredibly realistic model is approximately 400 square feet in size, and it boasts an intricate lighting system that illuminates even the windows of the river boats. Curious visitors can admire the model in Moscow's Hotel Ukraina, where it is currently on display, and there is no charge to view it. 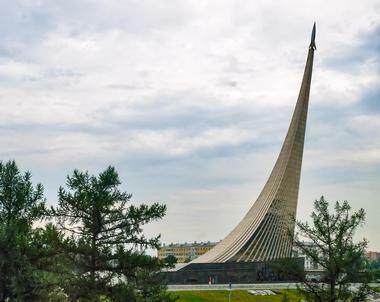 Erected in 1964 to celebrate Yuri Gagarin's orbit around the Earth and other Soviet achievements in space, the Monument to the Conquerors of Space is an impressive tribute to the Space Age. Plans to construct the monument began well before Gagarin went into space, and a competition was held for the best design. Built in the shape of a rocket rising into space on a giant exhaust plume, the titanium monument stands 351 feet tall and has a 77° incline. 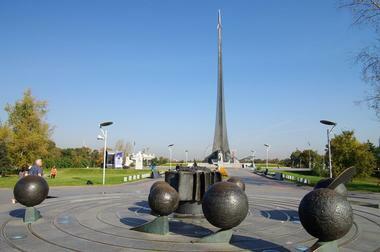 A statue of astronautic pioneer Konstantin Tsiolkovsky stands in front of the monument, and the Memorial Museum of Cosmonautics is located inside the base. Established in 1791, the Moscow State University Zoological Museum is one of the ten largest zoological museums in the world. 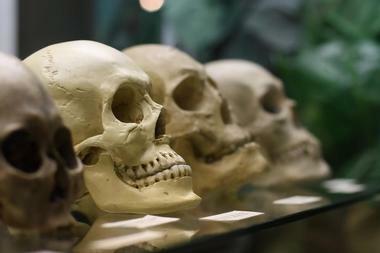 More than 4.5 million specimens are housed in the museum, including the skeleton of a Steller's sea cow, a large collection of colorful tropical butterflies, and two stuffed giant pandas. Other exhibits include taxidermy animals shown in their natural habitat and a collection of animal paintings done by some of the best Russian painters. The museum is open Tuesday through Sunday from 10:00am until 5:00pm, but is closed on the last Tuesday of each month. The most famous cemetery in Moscow, Novodevichy Cemetery is the burial ground of some of Russia's most popular historical figures. 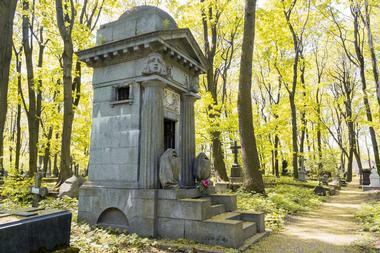 Although it was opened in 1898, the cemetery didn't attract much public attention until the 1930s, when it became the resting place of Nikolai Gogol and Sergey Askakov after their necropolises were destroyed at Stalin's orders. Other famous Russians buried here include Anton Chekov, Aleksey Tolstoy, Boris Yeltsin, and various space-age cosmonauts. One of the most impressive graves belongs to cosmonaut commander Pavel Belyayev; the headstone features a life-sized sculpture of Belyayev stepping through a portal to the stars. 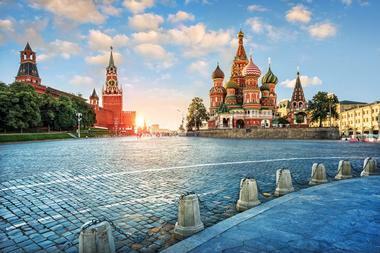 Considered by many to be the heart and soul of Russia, Red Square is home to several of Moscow's must-see tourist attractions but is well worth a visit in and of itself. 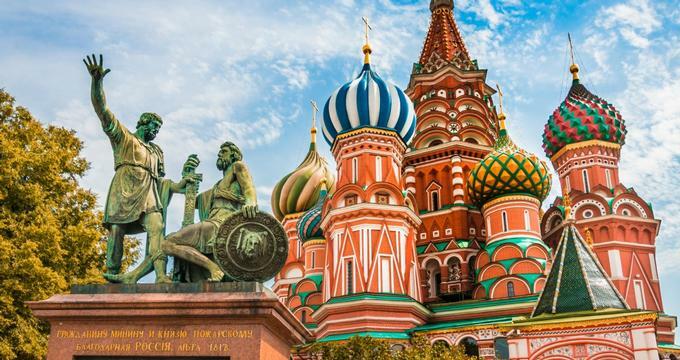 Not only does the square offer an excellent view of St Basil's Cathedral, but many of the most important events in Russian history have occurred here. 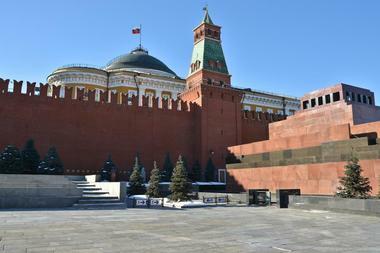 Together with the Kremlin, the cobblestone square has been a UNESCO World Heritage Site since 1990. The square is often closed for special events or for their rehearsals, so anyone who wants to visit is advised to allow some flexibility in their schedule. Formally known as the Cathedral of Vasily the Blessed, St. 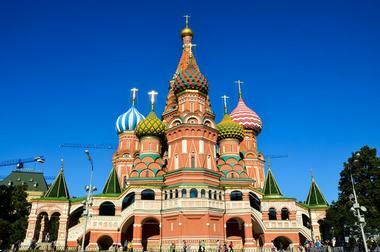 Basil's Cathedral was constructed on the orders of Ivan the Terrible and is one of Russia's most famous icons. The cathedral was built in the mid-16th century to commemorate the capture of the Tatar stronghold of Kazan, and it has since been carefully restored and transformed into an informative museum. The cathedral is open to the public every day of the week except for Tuesdays between the hours of 11:00am and 6:00pm, and a special church service is held every October on the Day of Intercession. 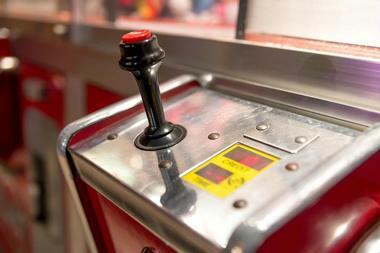 Hidden away in the basement of a technical school, the Museum of Soviet Arcade Games is undoubtedly one of the most unique museums in the world. The collection of Soviet-era machines includes a variety of video games, pinball machines, and foosball tables, all of which were built in secret behind the Iron Curtain. Many of the machines haven't been used since they were first built in the 1980s, but approximately 50 are still usable. Almost all of the machines take 15-kopeck coins, and the admission fee includes several coins that visitors can use in their favorite machines. The State Darwin Museum was the first museum in the world to be dedicated to showcasing the work of Charles Darwin, and it is still one of the world's largest natural history museums. The museum boasts more than 5,000 artifacts spread out over three floors, and all exhibits work together to form a complete picture of the evolution of the world from a scientific point of view. Highlights include an extensive collection of exotic birds, an exhibit of dinosaur models complete with a soundtrack, and a beautiful hall that explains the geographical distribution of animals across the world. Standing opposite St. Basil's Cathedral in Red Square, the State Historical Museum houses millions of artifacts that tell the story of Russia's history from the Paleolithic era to the present day. 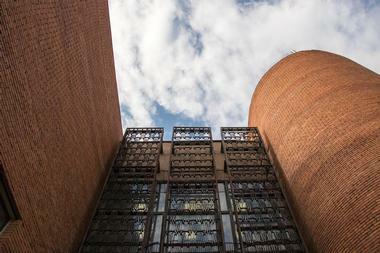 The palatial red brick building that the museum is located in was designed by architect Vladimir Sherwood, and the exhibits inside took experts more than 20 years to curate from various archaeological and anthropological collections. Each of the museum's halls corresponds to a different era in history. Visitors should be aware that the exhibits are not labelled in English, but English-language guide books and videos can be borrowed from the lobby. Founded in 1918, the State Museum of the East is located inside a historic Russian Classical home that formerly belonged to the Lunin family. 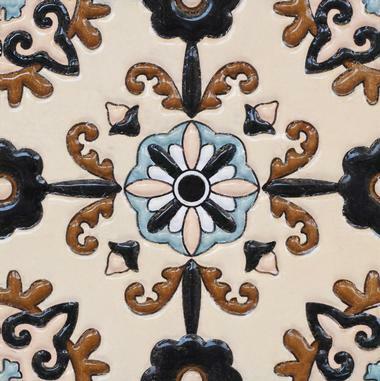 Works from every different part of Asia are on display here, including paintings, sculptures, and handicrafts representing the Middle East, the Caucasus, and the indigenous tribes of northern Russia. There is also a special section dedicated to the famous artist Nikolai Rerich and his son Sviatoslav. The museum is open from 10:00am until 8:00pm every day of the week except for Mondays, and Chinese tea ceremonies can be arranged in the tea room by appointment. With a height of just over 20 feet and a diameter of 22 feet, the Tsar Bell is the largest bell in the world. 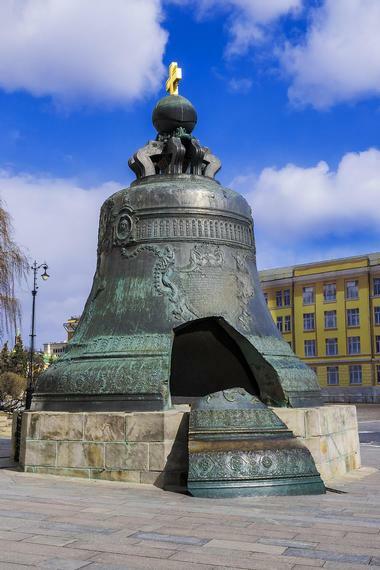 It was created in 1735 at the request of Empress Anna Ioannovna, who had previously commissioned two other large bells that were both destroyed by fires. The bronze from these two bells was used to create the third bell, which has never been suspended or rung. It did, however, spend a brief time serving as a chapel, and it is currently resting on the grounds of the Kremlin at the foot of Ivan the Great Bell Tower. Ruarts Gallery is one of Moscow's leading contemporary art galleries, originally opened to the public in 2004 by art collector Marianna Sardarova. As one of the largest galleries within Moscow's museum quarter district, the gallery spans over 800 square meters and is acclaimed for its exhibits of modern art by world-renowned regional and international artists. Exhibitions showcase Russian and international artists working in a variety of media, including drawing, painting, sculpture, photography, multimedia works, and site-specific installations. The gallery takes part in a number of annual art fairs and events, including the Moscow Biennale of Contemporary Art, the International Biennale of Street Art, and the Moscow Biennale for Young Art. Named in honor of Russian scientist Yuri Alexandrovich Orlov, the Yuri Orlov Paleontological Museum is one of the world's largest and most extensive natural history museums. The museum boasts approximately 5,000 exhibits divided into six halls, and highlights include a giant mammoth skeleton and an entire hall dedicated to the geological history of the Moscow area. The exhibits cover the history of the world's flora and fauna from prehistoric times to the present day, and almost every type of fossil organism is represented. The museum also offers a gift shop and a small cafe, and it is open Wednesday through Sunday. Tucked away in the southwestern part of Moscow, Uzkoe Park is a well-preserved historic estate that formerly belonged to the wealthy Trubetskoy family. The estate as it can be seen today was created during the late 18th and early 19th centuries, and it consists of two parts: a landscaped park and a formal garden area. Almost all of the buildings dating back to this period are still standing today, making the park one of the few places in Russia that still gives a realistic impression of how the Russian nobility lived during the 18th and 19th centuries.